Eisenberg: Israel will be "extinct" if it keeps acting like a "dinosaur"
The outgoing chief of the Israeli army’s home front command warned Wednesday that Israel would be "extinct" if it continued to act like a "dinosaur" in its conflict with regional enemies. Eisenberg, who concluded on Tuesday a four-year term as the commander of the home front, refused to say specifically if Israel’s central concern would be a greater freedom of action for pro-Iranian, non-state actors such as Hezbollah or threats more directly associated with Iran’s burgeoning nuclear program, but he added that Israel would be forced to draw conclusions. 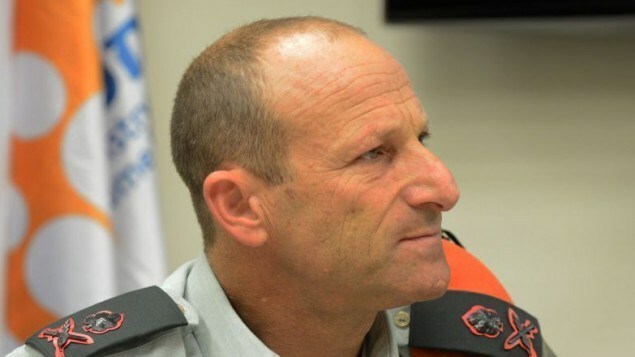 Eisenberg, who commanded the Gaza Division during Operation Cast Lead in 2008-9 spoke candidly about the changing threat from Gaza and the expected shape of a future war with Hezbollah. Likening Israel to a dinosaur and, later, to Gulliver, he said that “across the entire history of mankind,” all massive changes have resulted in “the extinction” of the larger, ostensibly stronger creatures and the survival of the more adaptable smaller species. For example, in Operation Cast Lead, he said, the army saw “the buds of” Hamas’ tunnel warfare doctrine but failed to act with sufficient alacrity. “To what extent were we able to take those buds and start a learning process? It did not surprise us…And that is what is concerning. The downside of the air defense system, which has successfully destroyed over 85 percent of targeted projectiles during the past two campaigns, he said, is that while organizations like Hamas and Hezbollah once took pride in the ability to fight Israel for weeks on end, that very sense of pride was in fact turned into a central part of their fighting doctrine. He added that the public should prepare for “between 1,200 and 1,500″ rockets per day during an early stage of a war with Hezbollah. Israeli sources have reported that the 22-year-old soldier, who was believed to be missing, or “kidnapped," staged his own disappearance, after the soldiers initiated a search campaign and found him, on Friday at dawn, sleeping in Kiryat Arba Jewish settlement in Hebron. The army later issued a statement, after questioning the soldiers, saying that Asraf fabricated the whole kidnapping allegation. The Police said it will be investigating the motives behind making up such a claim, and that it will deal with it to the full extent of the law. When the soldiers arrived at the scene, they did not find a flat tire, an issue that raised suspicion, and took the soldier’s friend for interrogation. 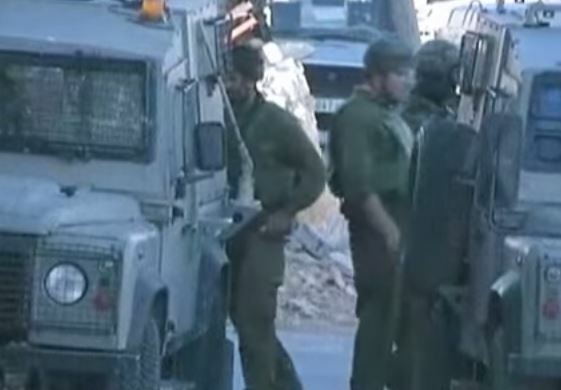 The Israeli Army, and the Police, said they are searching for an Israeli man who apparently went missing, on Thursday afternoon, near the southern West bank city of Hebron, and are investigating whether the man was abducted. Israeli sources said the Police received a call from a young Israeli who said his friend had a flat tire in an area between the Israeli colony of Keryat Arba’ and the village of Beit ‘Anoun. 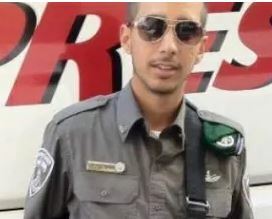 The caller, who was accompanying the missing man, added that the young man went to bring some tools, but never returned, Israeli Jerusalem Post has reported. It added that when the person contacted the police, he told them that he has been waiting for his friend for thirty minutes. Meanwhile, Israeli TV Channel two said the missing Israeli, 22 years of age, allegedly went to Beit ‘Anoun Palestinian village to bring a wrench, without his cellphone, but never returned. Channel 2 added that the missing Israeli is from Beersheba (Be’er as-Sabe’), and that he was on a trip to the Ibrahimi Mosque (Cave of the Patriarchs) in Hebron, to pray and his car broke down on the way back home. The Israeli army said the incident is very serious and that it is conducting all needed measures. The army also installed roadblocks near the towns of Halhoul and Beit ‘Anoun, in addition to the al-‘Arroub refugee camp. Main road to Hebron's Cave of the Patriarchs was for Jews only, while Palestinians were only allowed on fenced, narrow path; policy ended for second time in two years. Israeli security forces on Wednesday cancelled a policy of ethnic separation in Hebron for the second time. 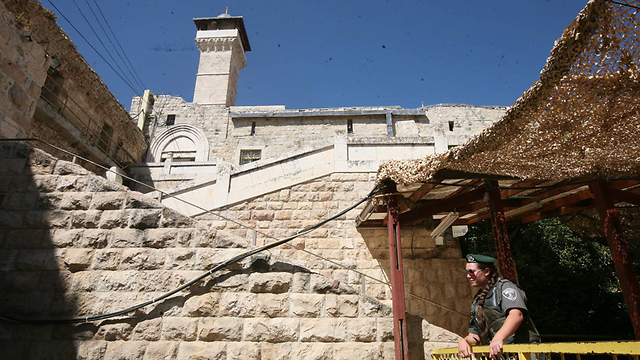 A Ynet exclusive two years ago revealed that the IDF divided the main road leading to the Cave of the Patriarchs: The main section of the road limited entry exclusively to Jews, while a fenced side path was the only way for Palestinians to pass through. This policy was cancelled, but reinstated about two months ago. A video attained by Ynet shows a Palestinian who works for the B'Tselem human rights organization attempting to use the main road and being halted by Border Police officers, who instruct him to go to the other side, which they said was meant for Muslims. "Only Jews come through here," an officer tells the Palestinian. When he asks why, she replies: "The captain decided. Jews here, only Jews, and only Muslims over there." When asked again why, the officer says, "Because." The video shows the Palestinian insisting on using the road, but the officers prevent him. The officers explain that the two ways reach the same exact place, and at one point say that only elderly Muslims may use the main road, while children and adults must use the side path. When the Palestinian attempts to challenge them and continue walking down the road, they threaten to arrest him if he continues. Nabila Jabri, a 45-year-old resident of Hebron, said she feels "humiliated when I walk on a path that is behind the fence and see the settlers walk through the main entrance; a screen separates us that has no justification for its existence." Iman Abu Armaila, also from Hebron, said that over the past two years, the crossing has almost never been blocked. "The fact that we could walk on the wide side of the road slightly lessened our general suffering," she said. But now, she said, border guards force her to use the narrower path behind the fence. Until the policy's renewal, security forces allowed Palestinian pedestrians and cyclists to use the road. In order to transport cargo, Palestinians had to use a horse-drawn cart or handcarts. Israeli citizens were and are permitted to use the road in cars or by foot. B'Tselem said that "the situation at the Cave of the Patriarchs in Hebron is an allegory for the entire occupation – the settlers use a convenient road, while Palestinians who live in the area are allowed only to look at it from behind a fence, from the narrow and defective road they were forced into." "The closure of the route is not in line with procedures in the area," an IDF spokesperson said. "As soon as commanders were made aware of the incident, they handled it and opened the route. The IDF always works to enforce the law in Judea and Samaria, and to ensure normal life for all area residents." Prime Minister Rami Hamdallah said, Thursday, that Israel has threatened to deduct 1.05 billion shekels ($276 million) from taxes withheld from the Palestinian Authority between January and March. During a visit to Hebron, Hamdallah stated that that Israel agreed to release withheld tax funds before the start of Arab summit in Egypt, however summit start has long passed and the PA has not yet received any funds. According to Ma'an News Agency, Israel would allegedly deduct the money to cover electricity bills owed by the PA, to which Hamdallah responded that that there are contracts with municipalities and electricity distribution companies that the PA is not responsible for. Israeli authorities gave the Palestinian Authority a 'warning' regarding Palestinian electricity use earlier this year, temporarily cutting the electricity off to thousands in Nablus and Jenin during the middle of winter. Israel's prime minister's office announced March 27 that Israel would release the funds it collects on the PA's behalf with deductions. In early January 2015, Israeli authorities froze the delivery Palestinian tax revenue collected on imported goods as a punitive measure in response to Palestine's decision to join the International Criminal Court. Frequent use of such punitive measures, as well as broader control over all access points in and out of the West Bank results in almost complete Israeli control over Palestinian imports and exports, while the Palestinian domestic market remains captive to Israeli products making domestic distribution for Palestinian companies difficult as well. The United Nations is celebrating its 70th anniversary this year. It was intended to be a temple of peace, but this once great global body has been overrun by the repressive regimes that violate human rights and undermine international security.In 1949, when the United Nations admitted Israel as a member state, it had 58 member countries and about half had a democratic orientation. Today, the landscape of the organization has changed drastically. From 51 member states at its founding in 1945, the institution has grown to 193 members — fewer than half of which are democracies. The very nations that deny democratic rights to their people abuse the United Nations’ democratic forums to advance their interests. The largest of these groups comprises members from the 120-member-strong bloc known as the Non-Aligned Movement. Since 2012, the bloc has been chaired by Iran, which has used its position to bolster its allies and marginalize Israel. In March, the United Nations closed the annual meeting of its Commission on the Status of Women by publishing a report that effectively singled out just one country for condemnation: Israel. The commission apparently had nothing to say about the Sudanese girls who are subjected to female genital mutilation. It also had nothing to say about the Iranian women who have been punished for crimes of “adultery” by stoning. These oversights may have something to do with the fact that both Iran and Sudan sit on the 45-member commission. Then there is the United Nations Human Rights Council (the body that replaced the Commission on Human Rights in 2006). Its membership includes Saudi Arabia, Qatar and Venezuela — nations where you risk life and liberty if you express dissenting opinions. Yet these governments stand in judgment on the rest of us. In 2007, Sudan chaired a committee overseeing human rights — even as its president, Omar Hassan al-Bashir, was being investigated for crimes of genocide and crimes against humanity in Darfur, for which the International Criminal Court later issued arrest warrants. Saudi Arabia — a regime notorious for public executions and floggings like that, most recently, of the blogger Raif Badawi — sits on the Human Rights Council, despite regularly receiving the worst possible ratings on civil liberties and political rights from the independent watchdog Freedom House. In 2013, Iran was elected to the committee responsible for disarmament — even as it continued its nuclear expansion, support for terrorism and the destruction of Israel. Last year, an Iranian served as a vice chair of the General Assembly’s legal committee, an inexplicable choice given that Iranian citizens are routinely denied due process and fair trials. Knowing this history, perhaps we shouldn’t be surprised that, in the 2014-15 session alone, the General Assembly adopted about 20 resolutions critical of Israel, while the human rights situations in Iran, Syria and North Korea merited just one condemnation apiece. Day after day, member states turn a blind eye to the most deplorable crimes. North Korea? Just one negative resolution even though it has imprisoned more than 200,000 citizens, throws children into forced labor camps and subjects its population to food shortages and famine as a result of government policies. Syria? Again, just one resolution for a government that has pursued a war against its own people that has caused the deaths of at least 220,000 men, women and children — many by torture, starvation, chemical weapons and barrel bombs dropped on markets and schools. Christians now number among the world’s most persecuted religious groups in Muslim countries, yet this human rights crisis is almost completely ignored by the United Nations. Instead, Israel, the only democracy in the Middle East and an area in the region where the Christian population is actually growing, often seems to be the only nation the United Nations cares about. Nowhere is anti-Israel bias more obvious than in the Geneva-based Human Rights Council. The council addresses the human rights abuses of all countries in the world under a program known as Agenda Item 4. That is, all countries but one. Israel is the only nation that is singled out for criticism by virtue of a special program, known as Agenda Item 7. A result, according to the Geneva-based monitoring group UN Watch, is that more than 50 percent of all condemnatory resolutions are directed at the Jewish state. Following last summer’s conflict in Gaza, the Human Rights Council established a Commission of Inquiry and selected William Schabas, a Canadian law professor, to chair the investigation. 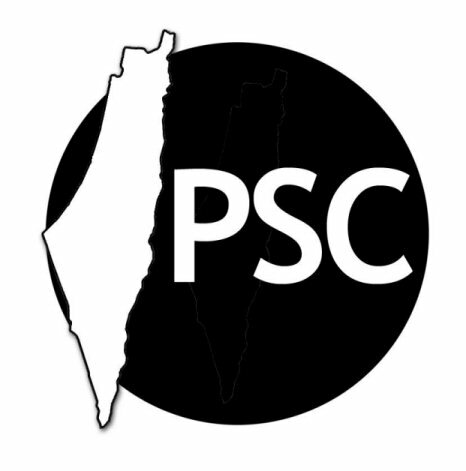 In February, Mr. Schabas was forced to resign after documents came to light revealing that, in 2012, he had done consulting work for the Palestine Liberation Organization. Surprisingly, this fact slipped Mr. Schabas’s mind during his vetting process. It was clear from the outset that Mr. Schabas was not an impartial arbiter since he had a record of public statements suggesting that Israel’s prime minister, Benjamin Netanyahu, and the former president, Shimon Peres, should face trial at the International Criminal Court. When Israel protested, however, the United Nations ignored it. I am often asked how I can stand the tide of hatred aimed at Israel. Our response to the United Nations’ accusations is to speak tirelessly for those who are denied a voice in most of the Middle East — women, minorities, the L.G.B.T. community — and to fight daily efforts by totalitarian regimes to undermine democratic societies. Based on the fact that Israel is a thriving society, I believe we are winning. Later this year, chairmanship of the Non-Aligned Movement will transfer to Venezuela, Iran’s ally. For the foreseeable future, we can expect more of the same. 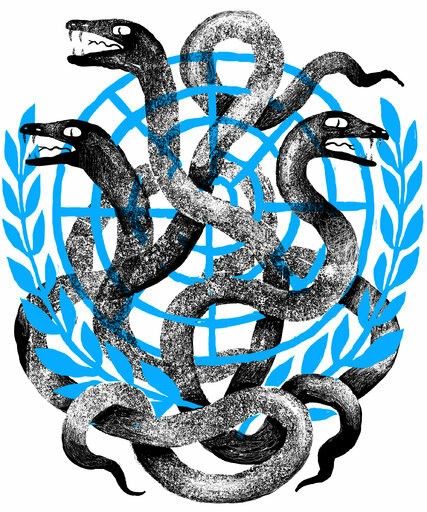 The problem with the United Nations is that the leaders of many of its member states do not rule with the consent of the governed. Instead, they use the body as a forum to deflect attention from their own ruthless rule. In so doing, they turn a stage for courageous statecraft into a tragic theater of the absurd. Ron Prosor is Israel’s ambassador to the United Nations. Africans refusing to take part in 'willing departure' program will face a hearing; 'This move will encourage infiltrators to leave the borders of Israel in a safe and dignified manner,' says Interior Minister Erdan. The Interior Ministry will start offering African migrants to "willingly" leave Israel to a third country starting this week, the ministry announced Tuesday. Interior Minister Gilad Erdan formulated a plan to increase the "willing departures" of migrants and asylum seekers to a different country - something which has so far only been initiated by the migrants themselves. 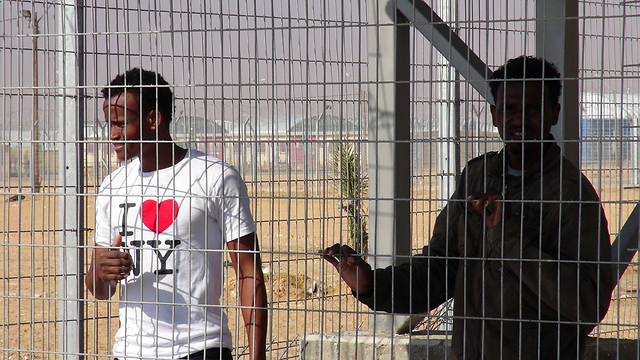 Starting this week, the Interior Ministry will take the initiative to offer the African migrants interned at the Holot detention facility in the Negev to leave to a third country destination. The Interior Ministry's announcement noted that Minister Erdan was working to make the completion of the process of "willing departure" of African migrants from Israel to their own countries or to different countries part of the government's basic guidelines. Israel reached an agreement with two African countries willing to take in migrants who had illegally entered Israel and cannot be returned to their country of origin. Since the beginning of 2014, some 1,500 African migrants or asylum seekers left Israel to a third country, in addition to 7,000 who were returned to their country of origin. Erdan's plan to expand "willing departures" has been approved by the Attorney General and is expected to begin in the coming days. Erdan instructed representatives of the Border Crossings, Population and Immigration Administration at the Holot facility to locate the first group of African migrants who do not have any asylum requests pending and are eligible to leave to a third country, and offer them to take part in the aforementioned program. The migrant will receive all of the information on the process of leaving Israel, including the country he or she are going to and the process of absorption in the new country. Funding and organizing the migrants' departure - including plane tickets, hotels and an "exit grant" - will fall under Israel's responsibility. The African migrant offered to partake in the program will have 30 days to arrange his or her departure. A migrant who is unwilling to leave will face a hearing, where it will be decided whether to move him to another detention facility as someone who fails to cooperate in his expulsion, according to article 13 of the Citizenship and Entry into Israel Law. "This move will encourage infiltrators to leave the borders of Israel in a safe and dignified manner, and will serve as an effective tool to fulfill our duty to the citizens of Israel - and south Tel Aviv in particular - to restore the fabric of life they were accustomed to," Erdan said. The annual mission report, written by heads of the diplomatic missions of EU member states in the Palestinian Authority, is strongly worded and very critical of Israel’s policies in and around Jerusalem. The EU report on Jerusalem warns that the city has reached a dangerous boiling point of “polarisation and violence” not seen since the end of the second intifada in 2005. The report describes the emergence of a “vicious cycle of violence …increasingly threatening the viability of the two-state solution”, which it says has been stoked by the continuation of “systematic” settlement building by Israel in “sensitive areas” of Jerusalem. 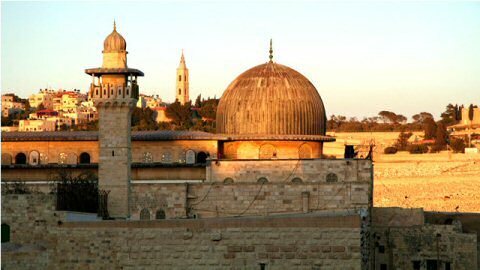 In addition, the report blames tension over the status of the Haram al-Sharif/Temple Mount complex as well as heavy-handed policing and punitive measures – including evictions and home demolitions by Israeli forces – for the escalating confrontation. The report list 40 recommendations suggested by the heads of diplomatic missions in Jerusalem and Ramallah that recommend several steps which include preserving the viability of Jerusalem as the capital of two states, strengthening the religious and cultural identity of Jerusalem, ending East Jerusalem’s socioeconomic isolation, and strengthening the role of the EU. Potential new restrictions against “known violent settlers and those calling for acts of violence as regards immigration regulations in EU member states”. Further coordinated steps to ensure consumers in the EU are able to exercise their right to informed choice in respect of settlement products in line with existing EU rules. New efforts to raise awareness among European businesses about the risks of working with settlements, and the advancement of voluntary guidelines for tourism operators to prevent support for settlement business. The actors Maxine Peake and Miriam Margolyes, rock musician Brian Eno, and film director Ken Loach are among those who have joined the London-based Palestine Solidarity Campaign’s call for immediate sanctions to be imposed on Israel. The call follows Prime Minister Benjamin Netanyahu’s comments, made one day before Israel’s Election Day, that there would be no Palestinian state if he was re-elected. Netanyahu also made it clear, in the same televised interview that settlement construction would not stop. Hugh Lanning, Chair of Palestine Solidarity Campaign, the poet Benjamin Zephaniah, novelist Ahdaf Soueif, scriptwriter Paul Laverty and Palestinian writer and academic, Karma Nabulsi, are also signatories to the letter. They join nearly 10,000 others who have signed a petition on Palestine Solidarity Campaign’s website in less than a week, calling for the next UK government to push for sanctions. In addition, nearly 28,000 emails have been sent to Parliamentary candidates using a Palestine Solidarity Campaign e-tool, asking if they would support an immediate arms embargo on Israel if elected to Parliament in May, 2015. The question is one of several designed to uncover where Parliamentary candidates stand on the issue of freedom, justice and self-determination for the Palestinian people. Their answers will be published on Palestine Solidarity Campaign’s website at the end of March, providing an important resource for voters. 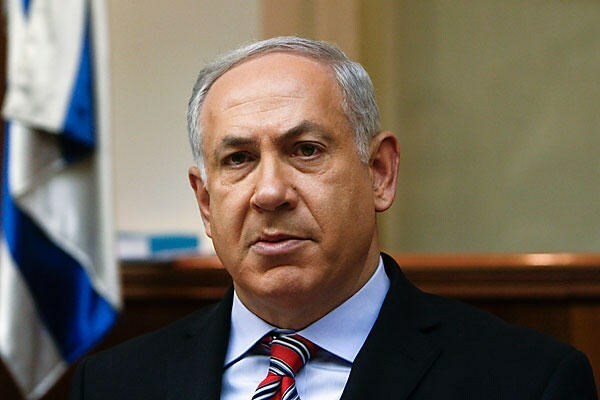 Israeli president Reuven Rivlin, on Wednesday, decided to assign Prime minister Benjamin Netanyahu to form the new government, after the Likud party won 30 seats, majority, in the Knesset elections last week. According to Israeli media, Rivlin will be handed the results before the official publication by head of the national election committee, judge Salim Jubran. PNN reports that Israeli law gives Netanyahu four weeks to form the new government, with the possibility of a two-week extension. 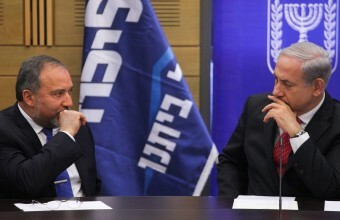 Netanyahu, Tuesday, met with foreign minister Avigdor Lieberman, head of Yisrael Beitenu party. He announced that the meeting did not "distribute" any ministerial portfolios. However, Israeli second channel said that Lieberman's request to be assigned minister of army in the next government will be denied. Netanyahu also met with head of Kulanu party, Moshe Kahlon, and assured his intentions to assign him minister of finance, as promised. 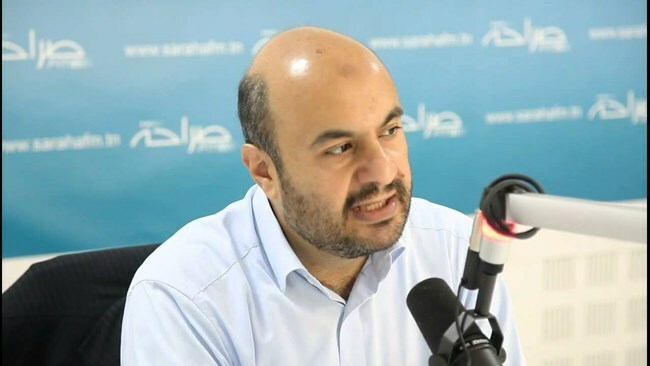 Expert in European Affairs, Hosam Shaker, dubbed a leaked European report calling for tougher sanctions against Israel as one that carries multi-layered significations and a “penalty card” waved at the extremist Netanyahu government. 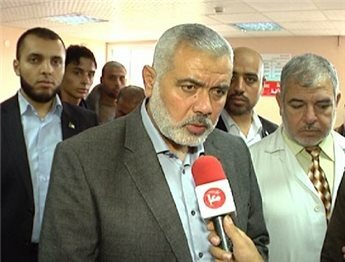 Expert Shaker said in a press statement from Paris on Monday, the references made in the report to the possibility of imposing sanctions on Israel marks a new development in the European political discourse and backs off from the traditional reverberation of concerns and hypothetical condemnations of Israel’s breaches. “Europe has obviously started to visualize the looming perils of such a simmering tension in Occupied Jerusalem, leaving the city at a possible boiling point of mayhem and violence,” Hosam Shaker said. “The report has come to sound alarm bells. It has emerged either as a warning notice or else as a pressure card to tame Israel’s decision-making,” Shaker added. “The leaked report comes shortly after Benjamin Netanyahu swept to victory, resorting to a more rigid rhetoric and politically charged pitch that has ousted all European initiatives to boost up peace negotiations,” the expert maintained. According to Shaker, the huge gap opened between the Obama administration and the Netanyahu government leaves enough room to mobilize support for the activation of the anti-Israel European standpoint. However, the expert voiced concern that diplomats’ positions vis-à-vis the need to take a tougher line against Israeli violations are not always, necessarily, translated into practical steps by their state governments, as has been the case several times before. A hard-hitting EU report on Jerusalem warns that the city has reached a dangerous boiling point of polarization and violence during 2014, a year that has been distinguished by a number of violent developments including a cycle of Israeli terror attacks, heavy-handed tactics of collective punishment, systematic increase in unabated settlement activity, followed in force by waves of demolitions and evictions, and desecration assaults on Muslims’ al-Aqsa Mosque. The report further documented over 1,300 arrests, with 40% of the detainees being minors. Those were, according to Shaker, examples of Israeli violations that have toppled the peace process, once and for all. The Israeli army is targeting high schools with a new programme to increase enlistment to ground forces considered “less attractive”. The programme includes a booklet detailing all available units and soldier-led classes that will include “events and stories” from last summer's attack on the Gaza Strip as a way to attract Israeli youth. Several weeks ago the Israeli army launched a programme to enhance enlistment to ground forces considered “less attractive”, according to the Israeli news site nrg. “We want to increase the number of those requesting the armoured units, artillery, engineering and combat intelligence”, stated a senior military officer involved in the project. The project includes a new booklet aimed at 12th graders with comprehensive information about the various ground units, including QR codes with direct links to additional information. The booklet, which will be sent to twelfth graders about to enlist, further features a comprehensive physical training programme developed by the combat fitness unit. Additionally, some 150 high schools have been paired with military companies, the soldiers of which will give lessons to the students. Nrg reports that some of the lessons are based on events and stories from Israel's military attack on the Gaza Strip last summer in order to “attract the youth”. 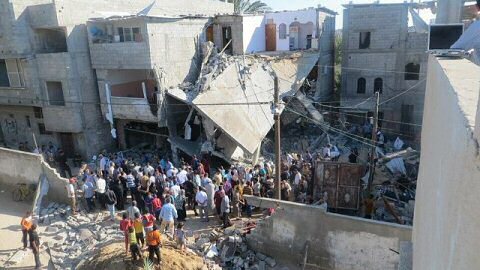 During this attack, some 2,200 Palestinians were killed and over 10,800 wounded. 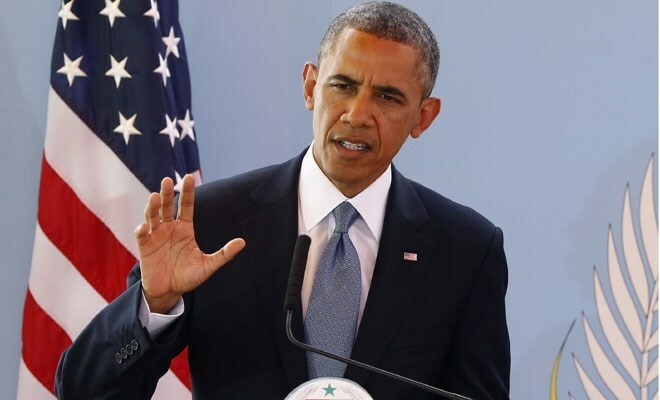 US president Barack Obama said he informed Israeli premier Benjamin Netanyahu that Washington sees the two-state solution as the only way to provide Israel with sustainable security. In an interview conducted on Friday by Huffington Post news website, Obama said he told Netanyahu over the phone that the recent remarks he had made during the election campaign of his party would make it difficult for the people to believe that the negotiations would be possible. in the region," the president said. Netanyahu has stated last Monday that a Palestinian state would not be established on his watch, which has drawn sharp criticism from the White House. Haaretz newspaper said that Benjamin Netanyahu's coming right-wing coalition government would push the Knesset into approving the Jewish nation-state bill and making legislative changes. Haaretz quoted an Israeli minister as saying on Friday that the new Knesset ministerial committee on legislation would work without brakes and respond to orders issued by the new government to make legislative changes to primary laws, especially with regard the judicial system and settlement construction. It said that the new minister of justice who would be presiding over the ministerial committee on legislation would have a role in the enactment of different laws that serve the political orientations of the government. For his part, minister of intelligence Yuval Steinitz said that Netanyahu's Likud party would strongly work again on pushing forward the Jewish nation-state bill at the Knesset, while the Jewish Home party would embark on promoting laws illegalizing any boycott or judicial action against Israel. France's Minister of Interior, Bernard Cazeneuve, Thursday, urged Jews not to leave France because "it would provide an unbearable posthumous victory to murderers." PNN reports that Cazeneuve gave a speech during a tribute to the the victims killed by Jihadi Mohamed Merah in Toulouse, on March 19, 2012. Merah killed four Jews, including three children and three French paratroopers. "Through you, France is attacked, and if you leave, it is France who kneels," said the Minister, who added "we do not intend to give in to terror and we will remain standing... "
Former president Nicolas Sarkozy, who was also at the event, said: "You belong to the history of France. France would not be France without the presence of Judaism and the Jews of France." Earlier this year, Benjamin Netanyahu Israel's Prime Minister called on French Jews to immigrate to 'Israel' following the January attack in the French capital where four Jews were killed in a kosher supermarket by IS-linked Ahmedy Coulibali. "To all the Jews of France, all the Jews of Europe, I would like to say that Israel is not just the place in whose direction you pray, the state of Israel is your home." 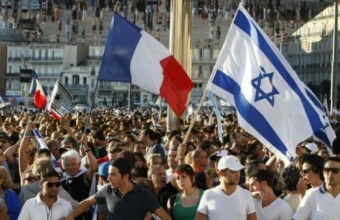 Moreover, the Israeli government has taken steps to encourage French immigration, approving an initiative that includes a hefty boost in the amount of Israeli emissaries operating in France; a significant increase in the public relations campaigns targeting French Jewry, and the implementation of new procedures that will expedite the absorption process for French Jews. Furthermore, the Israeli government is developing draft measures to recognize French diplomas and other qualifications. Immigration of Jews from France seriously increased last year, with nearly 7,000 new immigrants in 2014, double the 3,400 who came in 2013.